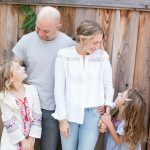 When Liora Brosbe saw that the Houston chapter of PJ Library was requesting books for their families, she jumped into action. 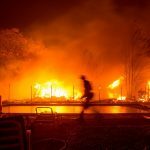 Brosbe, the Family Engagement Officer at the Jewish Federation of the East Bay, immediately reached out to synagogues and other organizations around the East Bay, and the response was overwhelming. Everyone wanted to help. 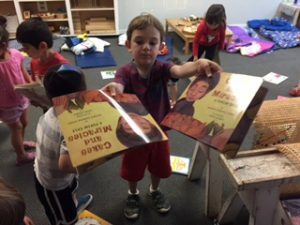 PJ Library, the flagship program of the Harold Grinspoon Foundation, delivers more than 170,000 free Jewish children’s books and music CDs throughout the United States and Canada each month, including 3,300 children in the East Bay. 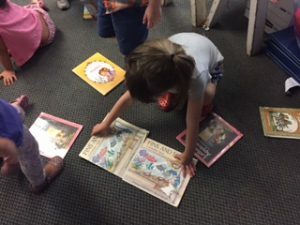 Books are sent to children ages six months through eight years, with each subscriber receiving a title carefully selected for high-quality content and age-level appropriateness. 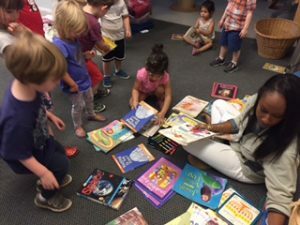 Brosbe led Federation to collect 1,152 PJ Library books for families in Houston whose homes, and book collections, were destroyed. There was rain in people’s houses in Texas. Then there was a little bit of water in their houses. The rain was so strong. Then everything got ruined. The books and the toys and the couch and the table broke. Also the TV. Also the bed and also the books. Also the covers. We found books on our bookshelf. We put them near Anna’s office and Anna will send them. 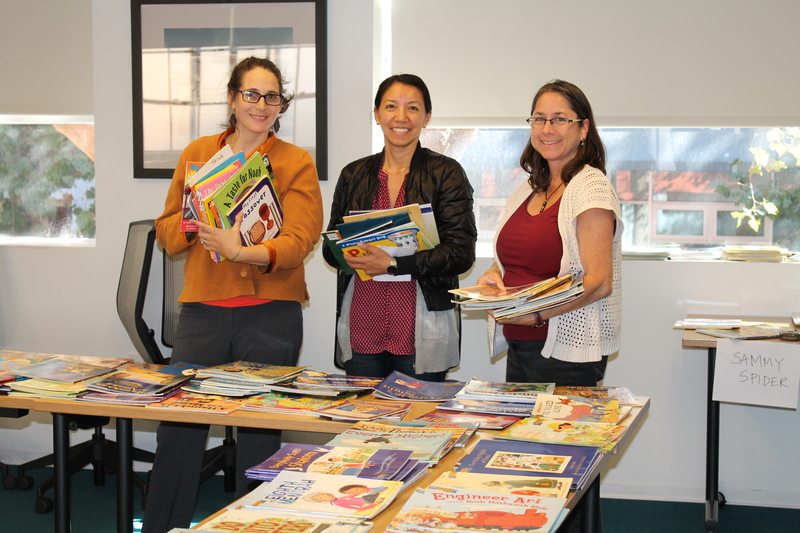 Thanks to all our PJ Library donors and participating organizations for sending on their books to new homes and to staff and volunteers who spent hours and hours sorting and packing books for Houston. 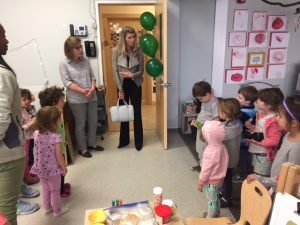 Participating organizations included: Afikomen Judaica, Beth El Nursery School, Gan Mah Tov of Beth Jacob Congregation, Gan Shalom of Congregation Beth Israel, Congregation B’nai Shalom, Congregation B’nai Tikvah, URJ Camp Newman, Congregation Beth Emek, and Temple Sinai.